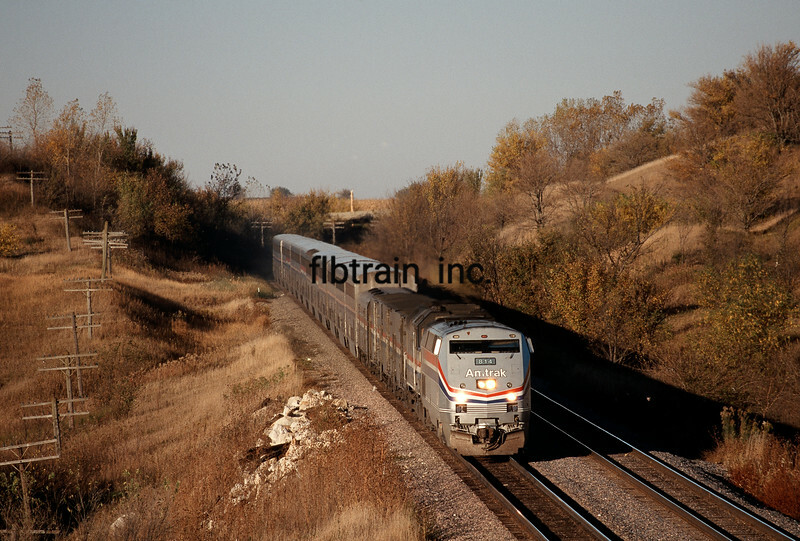 Amtrak eastbound California Zephyr led out of Red Oak, IA on a bright, sunny, Fall morning by P42DC 814 + F40PH 382. 10/18/1996. An interesting side bar to this photo is that it was taken from a bridge a farmer had over the tracks to get from one of his corn fields to another. He was utterly amazed when I asked permission to access the bride and use it for taking pictures. He told me that no one had ever asked permission before, that they just drove through his equipment yard and on "his" road to go to the bridge. What a sad commentary about some of "our brothers."